Few weeks ago, I went to Japan to visit GLICO company. I was invited by Poppy (thanks Poppy!) to join this project. This trip is to learn about Glico and enjoy Osaka and Tokyo. I remembered last year, I wish that I could come back again to Japan this year in Autumn season and it comes true! Autumn is so beautiful.. 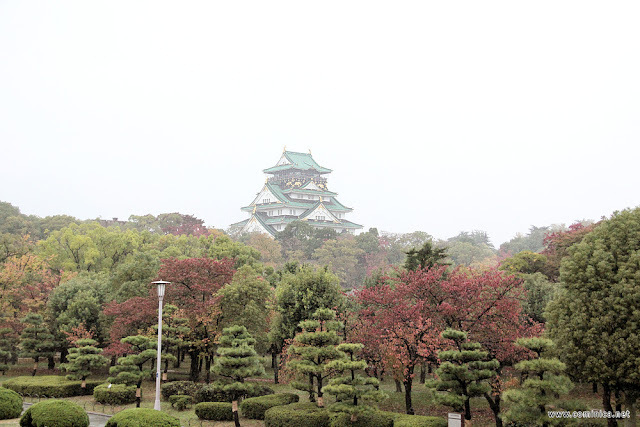 I can't even..
We walked around and sighted-seeing at Osaka Castle, but we didn't get near to it because the rain was getting crazy. Our tour leader decided to go back to the bus and head to the restaurant instead. My favorite is the Tofu and Sashimi! Oh, and the dessert too, a slice of Baumkuchen. After lunch we moved to visit Glico's Umeda office for a short briefing about this tour. There are soooo many Pockys there! Omg, Pocky is one of my most favorite snacks from Japan. The Pocky team gave us a Pucchin Purin and Glico's original Cafe Ole. Pucchin Pudding is well known throughout Japan for its appealing taste, palate-pleasing texture, and unique flower-shaped container. It was soooo yummy and cute haha I bought a "Make-at-home" Pucchin Purin to home. The Cafe Ole was good and refreshing too! After a short briefing at the Office, it's time for fun! 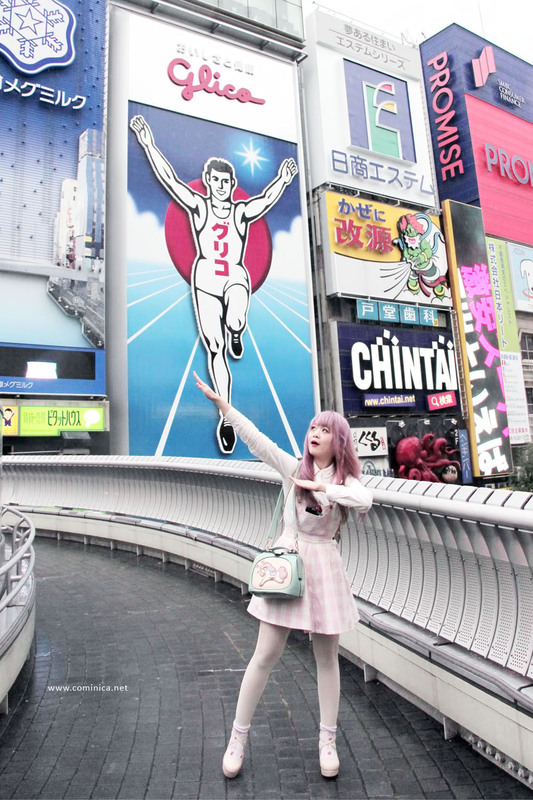 We went to Dotonbori area to enjoy the place around and see the big Glico sign there. Yes I went to this place too last year but I still feel so happy to be there again! We also dropped by to a Glico store in Dotonbori. It's like a gift store where you can find most Glico products there. I found many unique collaborations with some popular character like Doraemon, Hatsune Miku, Ojipan, etc. If you visit Dotonbori, make sure to visit this store. I'm pretty sure you won't leave this store without buying anything lol. And to end the day, we went to Kani-doraku, the most famous Crab restaurant in Dotonbori! I was planning to eat this crab too with my siblings last year but we canceled the plan because it's expensive! That night I can eat Kani until I feel full hehe. The Kani's meat here tastes SOO DIFFERENT from all Kani meats I've ever ate. It's so fresh, soft, delicate and sweet. It doesn't smell fishy at all, I want it agaaiiinnnn TT___TT haha. Omg u're so lucky. I wish I can go to Japan too!